Place the milk and herbs in a pan and heat gently for 20 minutes. Peel and steam the Lily Rose for 11 minutes (in a pressure cooker). Put the Lily Rose through a fine vegetable mill, mix in 200g of cold butter, then pour the boiling milk over the mixture to loosen the potato. Season with salt, white pepper and nutmeg. Place the mixture in a whipping siphon (you’ll need one charger to pressurize the chamber and a second charger to operate the siphon). 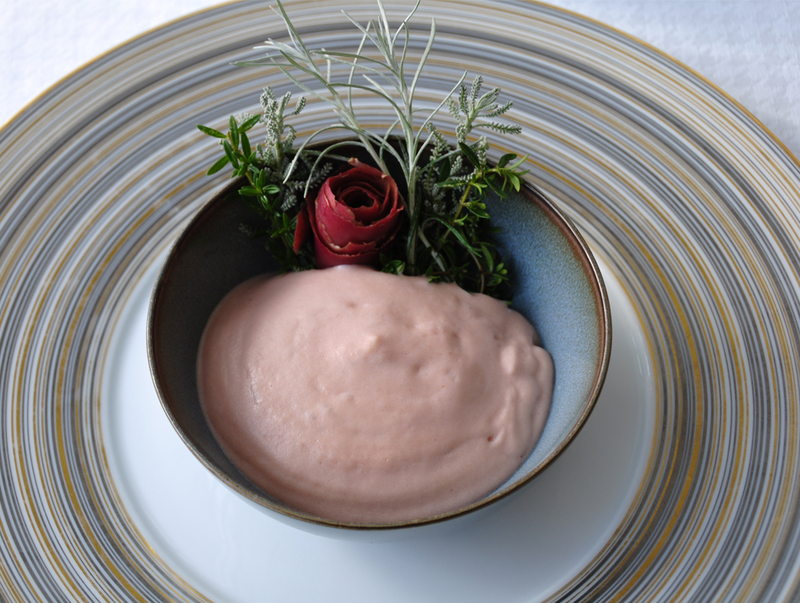 Serve the Lily Rose emulsion in a deep plate and decorate with herbs. leo. velit, ipsum consectetur accumsan Nullam ut Donec sit sed lectus ante.